A number of financial institutions have joined forces with public health leaders to fill in the “missing piece” of the puzzle and put an end to providing financing, insurance and investment to the tobacco industry. EURACTIV.com reports from Austria. The “Tobacco-Free Finance Pledge” was launched by Tobacco Free Portfolios on 26 September at the United Nations headquarters in New York and was co-financed by the French and Australian governments. It has already won more than 130 signatories and supporters. The initiative was developed in collaboration with the United Nations, while Axa, BNP Paribas, AMP Capital and Natixis, all from the financial sector, were the founding members. The initiative encourages the adoption of policies to withdraw from providing credit lines, insurance and investment for the tobacco sector, in line with the Sustainable Development Goals and the World Health Organisation’s Framework Convention on Tobacco Control. “With seven million deaths worldwide each year and a forecast of one billion deaths this century due to tobacco-related illnesses, global and multi-stakeholder collaboration is needed to tackle the devastating impact of tobacco on society, as well as on the environment,” the initiative’s paper reads. 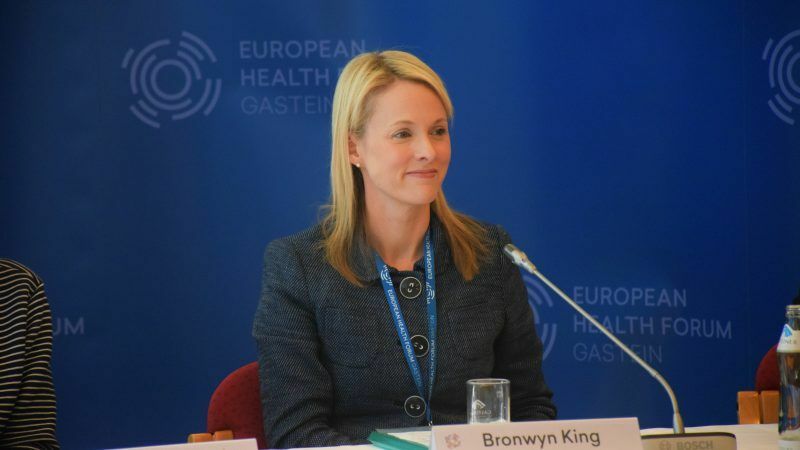 Speaking on the sidelines of the ongoing European Health Forum in Gastein, Austria, Bronwyn King, CEO of Tobacco Free Portfolios, said that a number of initiatives have been taken by governments so far, which has had a positive impact on the fight against tobacco. “All of these are not enough if the finance sector continues with business as usual: banks lending money to tobacco companies, pension funds and welfare funds investing money in the tobacco sector,” King said. She said the financial sector had been “a big missing piece of the puzzle of tobacco control” and the sector used to regard tobacco companies like any other companies. “In the past few years, through our activities, we have seen more than 12 billion dollars shifting away from investing in tobacco. This brings us great hope to have a new ally against tobacco,” King said. Asked by EURACTIV.com about the novel tobacco products such as electronic cigarettes, she replied that the public health community has concerns about these products. She expressed her concerns about young people starting consuming those products, whose long-term consequences are “unknown”. She said tobacco manufacturers were mainly the ones who produce novel tobacco products and, therefore, their financing will also be ceased by financial institutions.